But this massive wave wasn’t the only one. 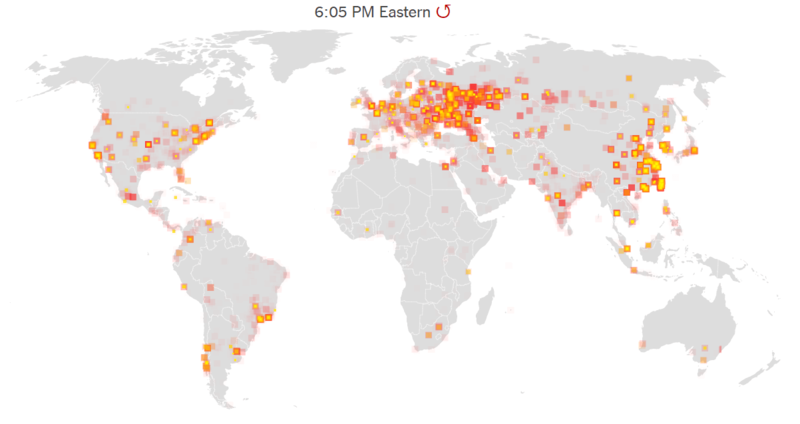 A few weeks later, a ransomware strain resembling Petya started spreading around Europe, affecting companies, Ukrainian institutions and banks, and even the even the radiation monitoring system at Chernobyl. In this very moment, someone is clicking a link in a spam email or activating macros in a malicious document without having proper security software in place. 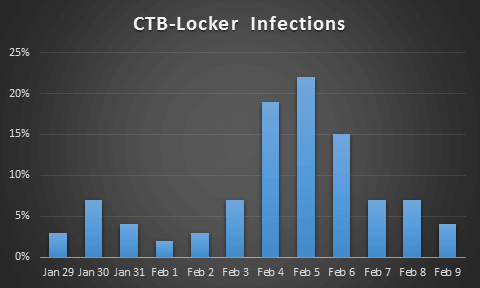 Some locker versions can even infect the Master Boot Record (MBR). The MBR is the section of a PC’s hard drive which enables the operating system to boot up. When MBR ransomware strikes, the boot process can’t complete as usual and prompts a ransom note to be displayed on the screen. Examples include Satana and Petya families. 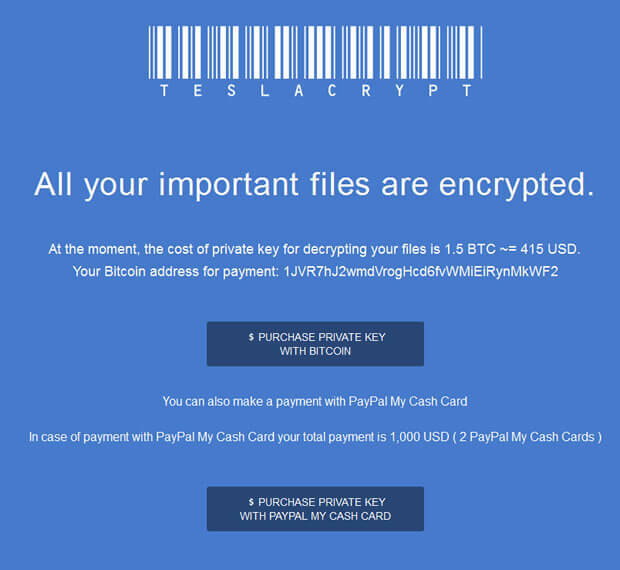 Crypto-ransomware, as encryptors are usually known, is the most widespread ones, and also the subject of this article. The cyber security community agrees that this is the most prominent and worrisome cyber threat of the moment (and it’s been so for the past few years). 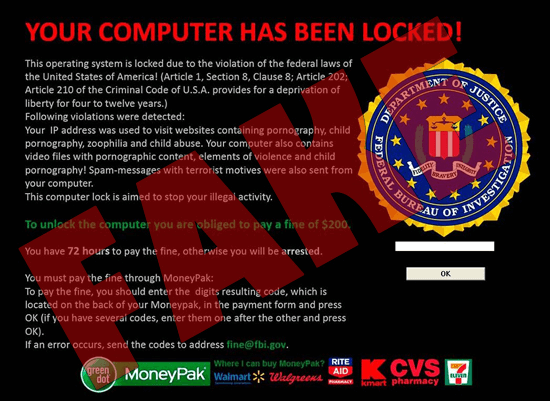 I had no idea that #ransomware can do so many things besides encrypting data! It may be difficult to imagine, but the first ransomware in history emerged in 1989 (that’s 28 years ago). It was called the AIDS Trojan, whose modus operandi seems crude nowadays. It spread via floppy disks and involved sending $189 to a post office box in Panama to pay the ransom. The appearance of Bitcoin, and evolution of encryption algorithms helped turn ransomware from a minor threat used in cyber vandalism, to a full-fledged money-making machine. As a result, every cyber criminal wants to be a part of this. Read the rest of the infographic. Fig. 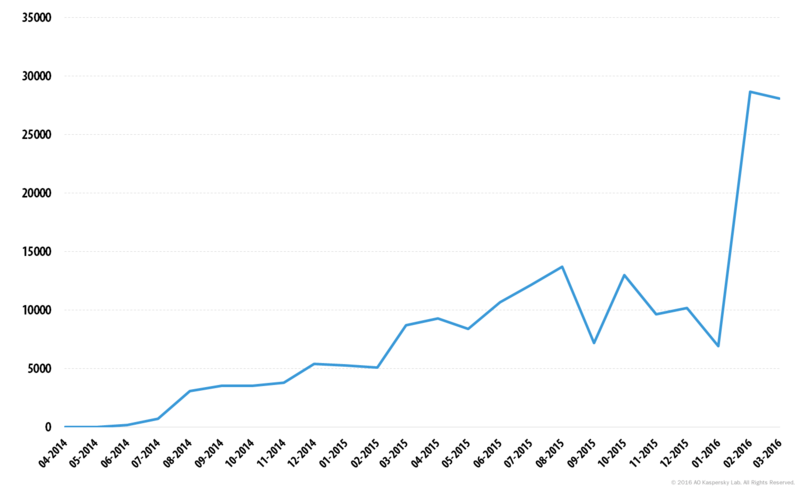 12: The number of users encountering mobile ransomware at least once in the period April 2014 to March 2016. 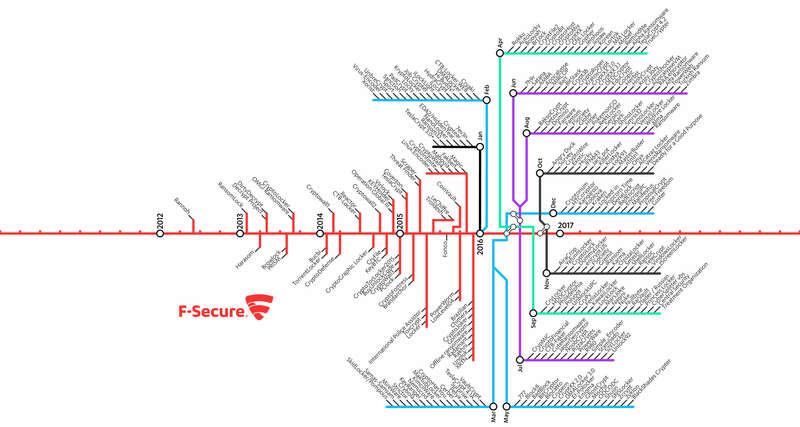 Which gets us to the next important answer in our common quest to understand how your files end up encrypted. 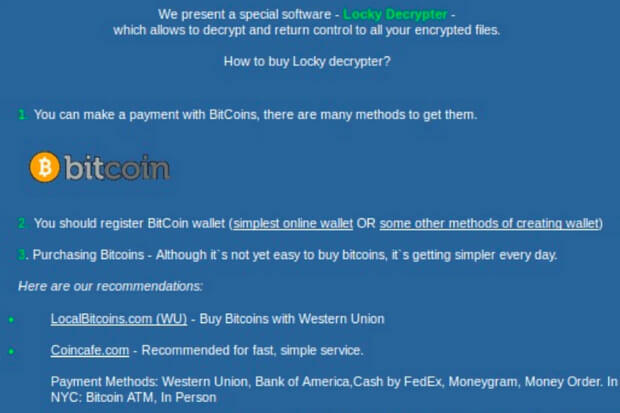 Read more in the dedicated security alert about the Wanna ransomware campaign. 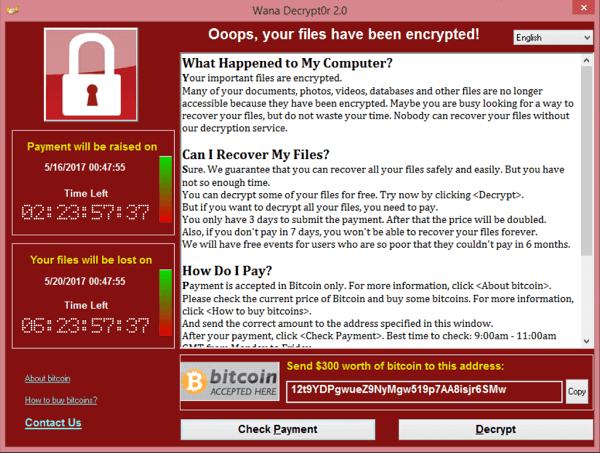 The Petya ransomware family was first discovered in 2016, and its trademark includes infecting the Master Boot Record in order to execute the payload and encrypt the data available locally. A strain similar to Petya started creating havoc in late June 2017, when it emerged, enhanced with self-replicating abilities. We covered this outbreak in a dedicated security alert. Since then, we’ve reported sightings of CryptoLocker in numerous campaigns spoofing postal or delivery services in Northern Europe. I have adjusted my browser’s security and privacy settingsfor increased protection. You can read an extended version of this plan in our dedicated article. I have never come across such will studied , will written article on ransomware ,its has given me deep knowledge , Thank U Andra keep the good going keep writing and keep helping us. Nice And Very useful info, This article important and really good the for me is. Keep it up and thanks to the writer. awesome writing, Great article. Thanks! Merely wanted to say that I lіke your blog post. This appears very Nice. Thank you to your sharing. Wow! Great article! Well just making sure that my business is protected, I use boomerang data recovery as well. Other than protecting than ransomware. Just in case if my files are gone. Nothing beats a good backup. Always test backups on a monthly or even weekly basis. Also you must make sure your backup has versioning. Must educate your employees! They’re the target entryway into your network. Here you are providing such a great news !! Best thing is that always take backup your data after work because when ever any ransomware or virus attack your data is in safe hand and you can work properly. Always enjoying while reading your blog. very helpful article…thanks for sharing valuable information….you can also find more information at http://linksysmartwifisetup.com/ for linksys login router and linksys login with advance settings. Hello and thanks for the message!Yes, we do have a Twitter account. You can follow us here: https://twitter.com/HeimdalSecurity Thanks for reading our blog! get in to the finals. ” It was President Theodore Roosevelt who had given it the White House in 1901. This can be very advantageous for you just like you’re fast learner, with just an endeavor, you might learn all you could wanted to simply and free. Well impressive work Andra. keep on . Do Heimdal do IT Security Management for small businesses? My business doesn’t think it would be targeted as we are so small, but we would rather be safe than sorry! I’ve been looking at a company called Ivanti, but I am unsure of what is the best way to avoid being held at ransom! Hello Niall! Thank you for your comment. Regarding your question, it depends on what market you are interested in. My colleague, Alex from the Sales team can help you with that. Please contact him at apv@heimdalsecurity.com. Thank you! Ransomware could cost you an immense data loss and to unlock this data most of the people eventually end up with paying ransom amount. Fortunately, there are free tools to decrypt ransomware files through which you can recover valuable data without paying for it. Thank you Andra for well presented and detailed information, it was simple to follow and understand, something important to me. My husband got caught with I think, scareware, on Sunday and we follishly allowed them access to his computer, but managed to back out when payments were requested, we turned off our modem and we’ve since scanned all computers. My question is did we compromise my Sierra o/s Imac? In theory, if you scanned your systems with a reliable anti-malware solution, you should be fine, but you should use more than one product to ensure that your system hasn’t been compromised. What’s more, I’d recommend doing a system restore from an older backup, if you have one, because there’s no telling what they might have planted on your system. Great post.luckily i always back up my data in external hard disk. God save me.my computer cannot effect me. One more thank for awareness article about ramdam ware. Thank you for the kind feedback, Emmanuel! Drive safe! Good article here. thank you for that. guys here also a great video to understand wannacry ransomware. If the computer has partitioned drives, then ransomware will encrypt only the drive having the windows operating drive. Then while booting the PC change the boot sequence to UB. after that use a USB with linux operating system to boot (Hirens CD) and format the drive with windows operating system. Then reload the windows system. I feel we can recover the files. This is one of the best and detailed blogs I have seen recently. very nice and informative article, this article help me to improve my knowledge thank-you very much keep updating us. I have a query, Is it possible to protect my PC by disabling SBMv1 in windows, if yes then how? waiting for your valuable feedback thanks once again. It was a very nice article, I would have thanked you Ms. Andra Zaharia, for creating awareness on ransomware. Thank you for shedding some light, this was extremely helpful. 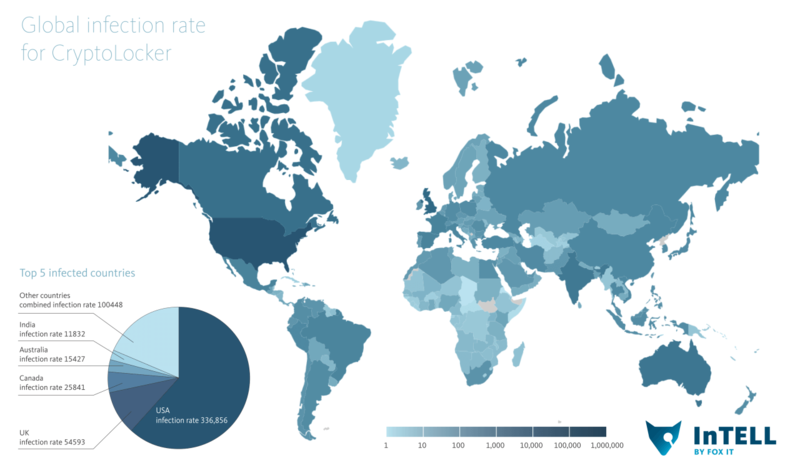 Are these ransomware attacks only happening on Windows users? This is very informative but can anyone tell me what to do to get my COMPWUNLOCKED W/OF PAYING???!!! I agree, great aeticle, but can anyone tell me how to get around it W/OF PAYING SO I CAN GET MY COMPUTER BACK???!!!!! If you got time and competency, 0) keep the original hard drive untouched 1) brute force attack the encryption with another computer on a full dump (sector by sector) 2) to a deep recovery file with recuva or R-studio on encrypted drives. Great post, Got Some new knowledge. 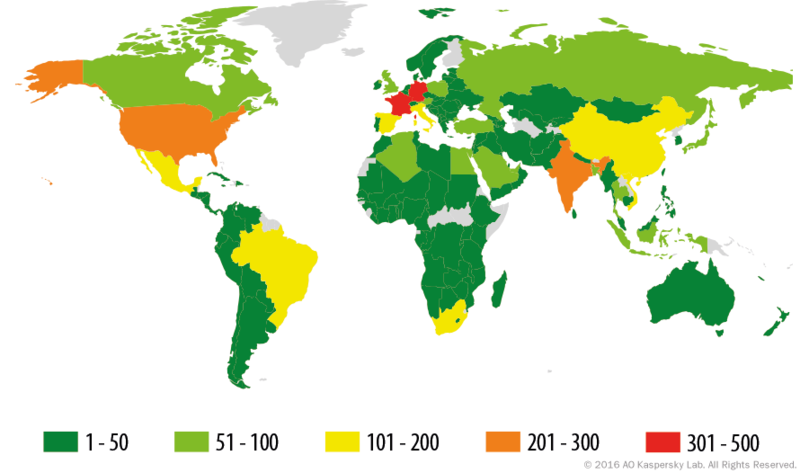 It is true that we need more knowledge about cyber security. What to do when back up server is attacked by some ransomware? Please help. – can the attackers attack my computer easily? due to new and instable code implementation to the system or will it be the same as normal windows pc? -about partition kind of ransomware, is gpt actually better or just as mbr? For small or non-business, I think an easy block to extortion is never having anything on my computer hard drive, other than the operating programs and emails. USBs are so cheap, all my files are stored on one I keep in my laptop bag. (A red one so it goes faster. The USB not the bag.) I just copy the whole USB to a plug-in hard drive every day or so as a back up. I also copy it to another USB when I remember. This way, there’s really nothing to encrypt; well nothing I care about and I can use any computer at hand. I hope I haven’t overlooked an obvious flaw in this plan. I’m concerned that since ransomware can be dormant for a significant period, it could exist in all my backups and be restored, then causing the whole thing over again. Very informative article. Taking regular backups is key to protect the data and in case of attack one can revive from it by recovering the data from backup. So glad you found it helpful, Sandeep! Thank you for a lovely article. Also to all who have contributed in the comments box. How lovely to see a community coming together for greater good. Andra, this is one of the most detailed articles about ransomware I’ve ever seen! Thank you for the lovely feedback, Magnus! I’m really glad you enjoyed reading it. Q – Are private data in public (free) cloudsystems (f.e. HVO hubiC, Googledrive etc) save for ransomware? Q – Do you have to backup data in such cloudsystems to be save for ransomware? They are safe if you don’t keep them synced locally all the time. If you do get infected with ransomware and your Google Drive is synced locally, it will infect the data in it as well. Hi, this is very interesting and a good material. Is there any website or tool to track bitcoin account/bitcoin ID? please also suggest how to track the culprits. Ransomware attacks are increasing year on year… businesses and their employees should have the knowledge on how to make back-ups for critical data, how to update software on the devices that are used for work and how to implement high-end information security solutions. Businesses that are not prepared for ransomware attacks will have a pretty rough time, it claims that around 55% of businesses surveyed said it had taken them several days to restore access to encrypted data after being attacked. Great job, Andra! (and the Whole Heimdal team) Having good anti-malware/virus software is very important in defending against digital malfeasance, so check out the reviews, do the research, and get the one you think is best for you installed and running ASAP. There are some excellent choices available and they don’t all work the same way. Thank you very much, Keith! I really appreciate the feedback and thanks for joining our effort to help everyone become more aware of the importance of basic cyber security. 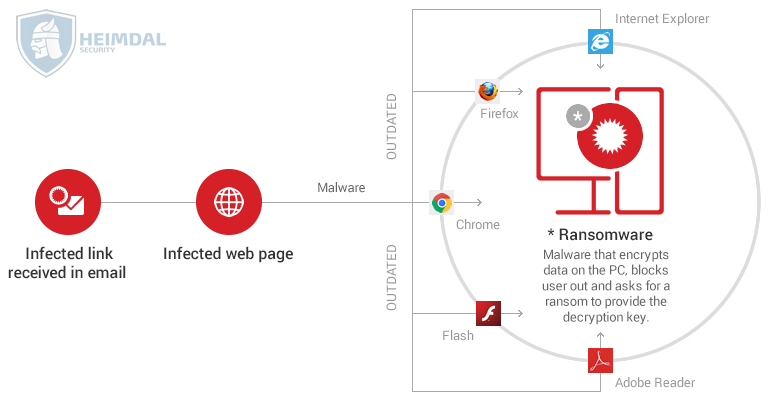 Are you a soft target for ransomeware. Take the risk analysis quiz. a Malware/Adware that can convert all JPEG File to .9213 Extension. In-fact what I wanted to know about Ransom-ware is lucidly written and full kudos to her to make me knowledgeable. It is a complete insight blog and a never miss. found a quick solution for ransomware. from f8 access command prompt and use diskpart to format C drive. restart computer and from f8 you can now use the reset my computer option. maybe i could have used sytem restore first as the the lock had been removed from c drive with the format. Make sure to protect your password frequently at least once a month. Very useful tips. Thank you for sharing it Aurelian. The 9 easy steps to keep your system safe from ransonware article is very helpful. Technology can helps us to protect our home but we should always be careful. The treats are everywhere.